Hailey and Zach are out of school on a year long adventure. First stop: India! The excitement begins the moment they step off the plane. Hailey and Zach are entrusted with the magical diary of Shah Jahan, legendary builder of the Taj Mahal, and are whisked off on their first real adventure. The Taj pool shimmers in the full moon, and suddenly the twins are not just traveling the world but traveling back in time, sent on a mission to free the shah and his princess daughter from their prison tower. With the help of their ingenious friend, Sushil, anything seems possible. Can they help the shah win back his rightful place on the throne? Will they change India's history forever? Time is running out! Will they succeed before their parents' work in India is done, and it's time for them to move on? Brynn Olenberg Sugarman graduated from SUNY Binghamton with a BA in Creative Writing and from the Hebrew University in Jerusalem with an MA in English Literature. 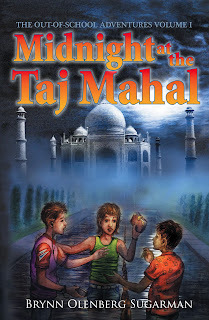 Midnight at the Taj Mahal is her first novel and reflects her lifelong love of travel and fascination with time travel. In addition, she is the author of the award-winning picture book Rebecca’s Journey Home. Brynn lives with her husband and three children in Ra’anana, Israel, close to the sparkling Mediterranean Sea. This is a mystical, magical, educational and interesting novel that every one should enjoy especially children. 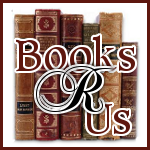 Full of memorable characters that will entertain and educate you. Her description of India and it's people was fantastic and I felt that I was right there with the characters interacting with them. Many historical novels have bored me but Brynn has written a novel that kept me engaged, and interested. I finished the book rather quickly and I stayed up late to finish it. I definitely recommend that you read this book and I cannot wait to read the next book in the series to be set in Jerusalem. This sounds like a great book for young readers, it's got so much to keep them interested! Mystery, adventure, friendship, and magic! Sounds like a winner to me! What a great book for a young reader- adventure, time travel, heroic acts, suspense, etc. It has everything. I think that my older sons (13 and 11) would enjoy this book! Its got a lot of things they can "picture" in their head! Great review! Sounds like a great book! Thanks for the review. My niece is getting older and since my own children are in their 20s, I am a little out of the loop as far as literature goes for this age group. Thanks for sharing this book with us, it a good way to get into history without it being a drag. Thanks for the contest of 200$. I tired to enter on $200 giveaway ,but comment page not working right for me. Thank you for the reviews on the children's books. You never know what they may entail until someone else has read them. Love time travel books - this sounds delightful! This would e a great read for my 13 yr old that loves books. Great review! Great review! I would indulge more on reading this year! It will be a good investment, right? I think that this is a very interesting review of this book. The Book sounds intriguing and I can see why you stayed up to read it. I like reading and this book is a book I would love to read. This sounds very interesting. I like the way the words seem to paint a picture as well as tell a story. Thanks for sharing! i think this would be a wonderful book for my grandsons. A good read for younger ones and older ones too. Fun and adventure when on a trip to India what could be more fun then that . Curious to find out how and if they got Sushil to get back her rightful place on the throne. Great book to read with your kids. Sounds really fun! Sounds like my 12 year-old adventure-loving tomboy niece would love this! Thanks for the review.